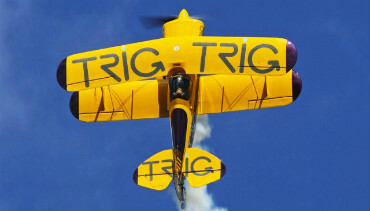 AeroExpo UK is excited to announce that the Trig Aerobatic Team will be performing at this year’s event between 13:00 and 14:00 on all three days of the show. 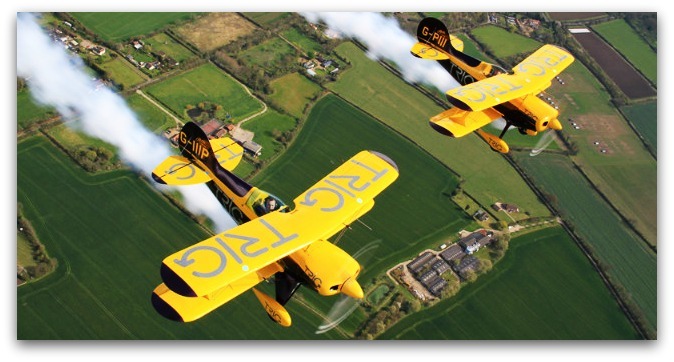 The Trig Aerobatic Team comprises of Richard Grace and Dave Puleston in their Pitts Special S-1D biplanes. 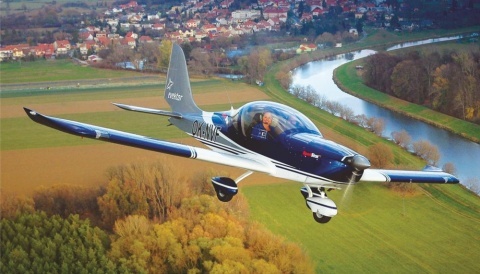 Richard explains “the Pitts is a great display aircraft, highly manoeuvrable and with a top speed of only 200 mph this allows us to fly a tight, compact display where the action takes place right in front of the crowd line”. Flying only 5 feet apart, their high g manoeuvres subject Richard and Dave to gravitational or ‘g forces’ of up to +6 g and -4g. Precision flight under such conditions underlines these pilots’ extreme skill and professionalism. 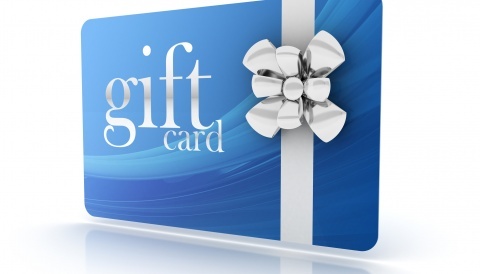 Sponsors, Trig Avionics Limited design and manufacture avionics for light aviation. 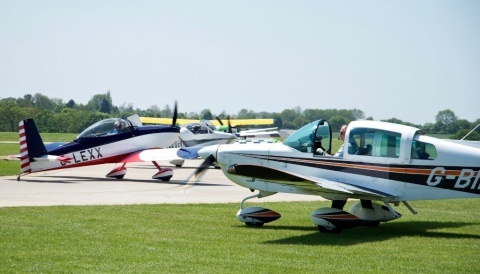 Both Pitts are equipped with Trig TT22 Mode S transponders, which are suitable for use in all types of light aircraft.